That’s why it’s important to do your research and get quotes. However, on average, here’s what you can expect to pay for these common home renovations. For the kitchen, you’re looking at new appliances, cabinets, flooring, countertops, and hardware. It’s a pretty big project. The average kitchen remodel costs about $20,000. But, if you want high-end appliances, marble countertops, and custom cabinets, you can expect to pay more (upwards of $30,000 and more). There are ways to save money though and still get the kitchen of your dreams. For instance, reusing existing appliances, repainting cabinets, and going with cheaper but durable countertops are just some ideas to cut costs. Want to install new hardwood flooring? How about a new tile in the bathroom? Flooring is a relatively quick and easy update to make. That is why we see this as a typical remodeling project. Plus, it’s one of the more affordable upgrades. Depending on the room and what flooring you choose, it might only cost a couple hundred. Hardwood flooring is the most expensive option, while vinyl and linoleum are the least costly. But keep in mind, sometimes upfront costs means high-quality materials, which means you might not need to replace the flooring in the next 5 years. Installing a new front door can cost anywhere from $200 to $2,000. And, installing new windows ranges in price from $450 to upwards of $11,000. But, keep in mind that the materials you select will influence the price. Also, replacing a single window will cost a lot less than replacing all the windows in your home. The price tag might seem like a shock, but truthfully this is one of those investments that pay off. Energy bills are less when you have the proper windows and doors. It is also a great selling point with homeowners if you are putting your house on the market. You can make more with replacing them than leaving old, poor insulated windows and doors. Who doesn’t like a nice new bathroom? Just like kitchens, bathrooms have a lot of different elements that can change renovation costs. If you are doing a complete remodel – a new shower/tub, cabinets, flooring, tile, fixtures, etc. – you are looking at thousands of dollars. The average bathroom remodel costs about $9,000. However, bathroom remodels can cost as low as $2,800. Again, it all depends on the materials used and a handful of other factors. Unfortunately, this isn’t a fun project like kitchen and bathroom remodeling but is necessary. 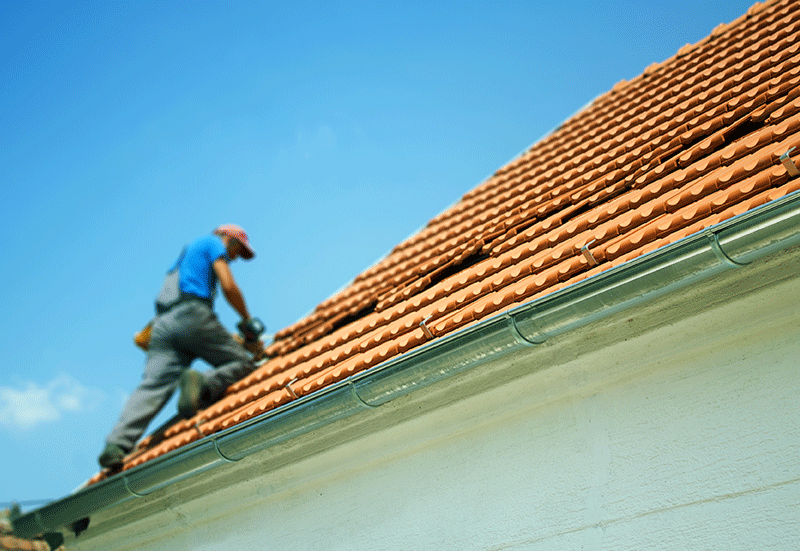 As a homeowner, you should always put money aside for maintenance items, roofing being a key one. Sometimes, you can’t get around to replacing it completely. It’ll likely cost a couple thousand dollars. Though, that number may be higher or lower depending on the size of your home, what materials you select, and what contractor you choose. But, if you have a minor repair to make, it’ll range from $150 to $2,000. If you are doing interior painting, this is a simple and cheaper way to upgrade a room, kitchen, or bathroom. Obviously doing it yourself is the most economical way, but getting a professional can be a great alternative. It might cost a few hundred more, depending on the size of the room, but you don’t have to worry about painting materials and making sure you don’t get paint on the molding. If you are painting your exterior, that costs a bit more. Painting the exterior of the house ranges from $800 to $5,500. Decks are perfect for entertaining and enjoying your backyard. If you want to build one or replace your current one, it’ll cost between $2,000 and $15,000. If you already have a deck and need to repair it, it might cost about $300 to $4,000. But, if you are considering redoing your deck, check out some of the most popular deck designs for your backyard. Now that you have an idea of what to expect, you can start a home renovation with as little surprises as possible. Remember, many homeowners take home renovations step by step. So, start by replacing the cabinets, then doing the windows and so on. It’ll help make the costs much more manageable. And, if you are planning to sell your home in the future, take a look at some of the common renovations that add value to your home. And, for kitchen and bathroom design or building materials, contact Friel Lumber today.